This property is situated in the centre of the town of Borgo a Mozzano. The building is set on 4 levels devided into 3 apartments, shop and garage. Ground floor – there is a garage, a shop, entrance and an exclusive parking space on the road, front door that leads to the floors above. First, Second and Third floors – the apartments are in need of total renovation. NB. the roof and all the window and shutters are new. The renovation required would be only for the inside. The property lend itself to becoming a bed & breakfast or simply apartments for rent. Recently renovated town house, work almost completed. House of 140mq. 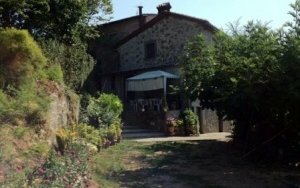 positioned on the outskirts of Barga, Lucca, within walking distance from shops.